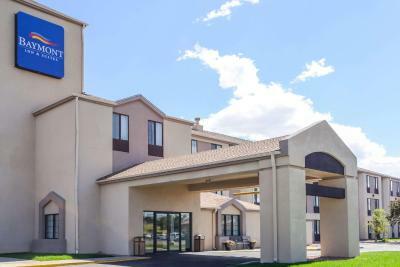 Lock in a great price for Baymont by Wyndham Pueblo – rated 8 by recent guests! Pool was great! Just wish it opened earlier in the morning. 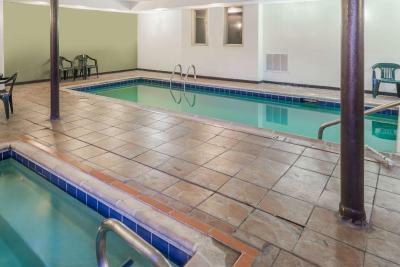 I liked the indoor pool, it was nice especially since it was a pretty cold night. Had a great stay. Mario at the front desk helped us before we booked the room. Very nice and helpful young guy. We are most likely to stay here again. I only encountered one employee during my stay and he was professional. My room was well appointed and had everything I needed. The staff was wonderful and very accommodating. 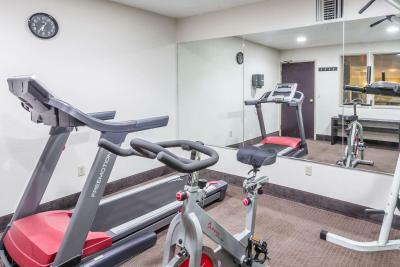 The property was very clean and maintained. It was good but a little limited. I may have missed the yogurt and the only fruit was apples. Bread could include English Muffins and eggs would also be nice. Room had nice bedding, decor,microwave and fridge. The shampoo and conditioner was a Matrix brand. Size was right and comfy. The staff was friendly and it was great to get out of the storm. 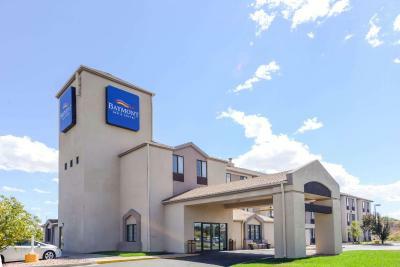 Baymont by Wyndham Pueblo This rating is a reflection of how the property compares to the industry standard when it comes to price, facilities and services available. It's based on a self-evaluation by the property. Use this rating to help choose your stay! 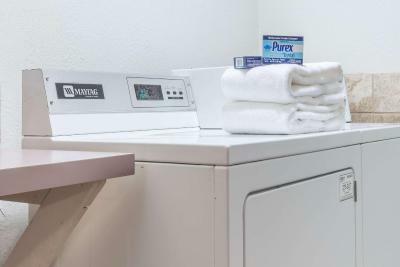 Every room at Baymont Inn Pueblo offers free Wi-Fi. 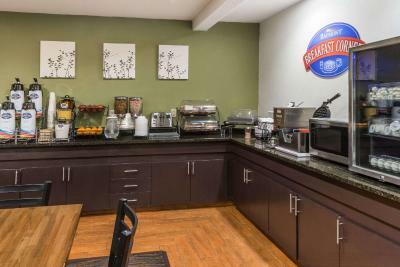 A microwave is included and some rooms have a coffee maker. 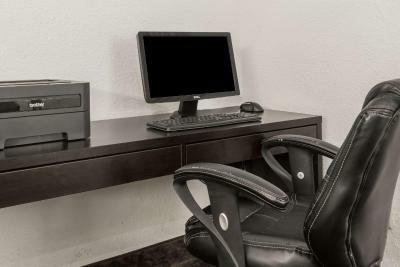 A work desk and telephone with free local calls are also provided. 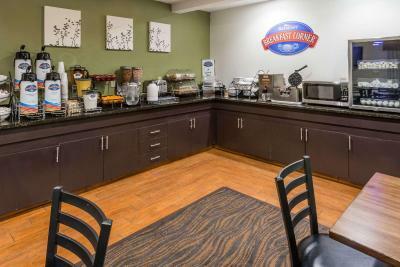 A continental breakfast is offered each morning at this hotel. 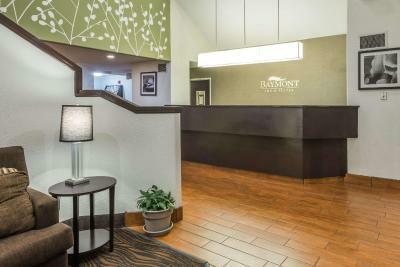 Baymont Sleep Inn also offers access to the on-site business center and has a 24-hour front desk for guest convenience. Colorado State University-Pueblo and Walking Stick Golf Course are 2 miles from the hotel. Pueblo Zoo is a 14-minute drive away. This property is also rated for the best value in Pueblo! Guests are getting more for their money when compared to other properties in this city. 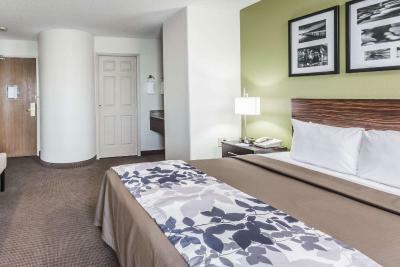 When would you like to stay at Baymont by Wyndham Pueblo? This quadruple room has a seating area, microwave and cable TV. 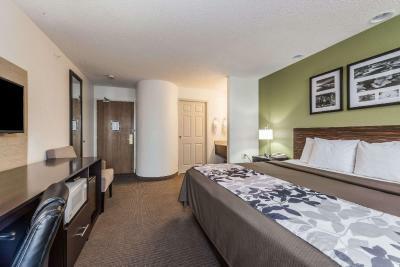 This triple room has a seating area, air conditioning and microwave. 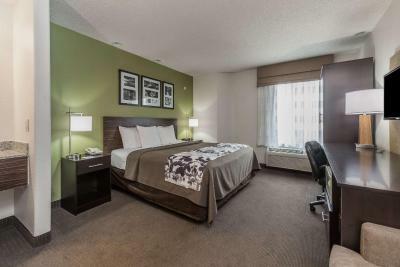 This double room has a seating area, microwave and air conditioning. 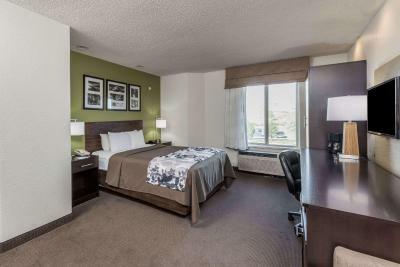 This double room features a microwave, air conditioning and seating area. This suite has a seating area, microwave and cable TV. 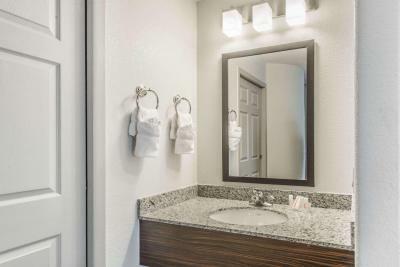 House Rules Baymont by Wyndham Pueblo takes special requests – add in the next step! Up to two additional older children or adults are charged USD 10 per person per night when using existing beds. Baymont by Wyndham Pueblo accepts these cards and reserves the right to temporarily hold an amount prior to arrival. A train went by every one to two hours all night long and shook the whole room; I actually wanted to leave after twice and get my money back. 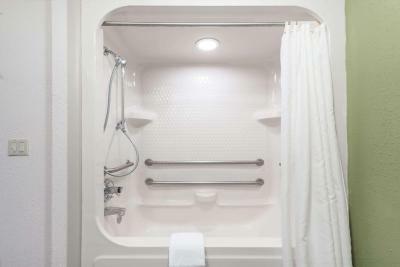 I have a lot of pain and asked to use the hot tub when I checked in at 10pm, but it didn’t matter the reason, the answer was no, I said I would settle for a hot bath I guess, but when I got to the room there was only a shower. Very clean and well kept property. The room was so small it was almost claustrophobic. The bathroom was WAY to small. Young man at check-in was very nice and helpful. Breakfast wasn't as good as we expected. There was hair in random places in our room like on the dresser & window ledge etc. Wish we could say the train was the noisiest part of our night, but the tv in the room next to us was blasting until sometime early in the morning & when it finally shut off all we could hear were the people in that room arguing & that was followed by a few different groups in the hallway being very loud before 7am. We didn't get much sleep & breakfast started the day off lacking... Can't say we'll be back to stay again. The breakfast was not good at all. I had to switch rooms because the heater smelled so bad it made me sick. The next room I was in there was a mans nasty sock in the bed, so they didn’t even change the sheets before I stayed in the room! Beds could be a little more comfortable. Breakfast was very limited no eggs and no fresh fruit. Toilet didn’t work, then overflowed, shower smelt like sewage, heat on low would not kick off, had to finally turn off and froze the rest of the night. Was not told a train would raddle the room and wake us up through the night. It looked like the floors had never been shampooed and the bath room didn’t have a real door. My coffee pot had all kinds of dirt just sitting on it. I wish there was a disclaimer but here it is. There is a train behind the hotel, like directly behind the hotel and I read about it and thought it would be a random train possibly coming through. No. The train runs EVERY hour if not EVERY 30 minutes. Throughout the NIGHT. This is not the hotel to come to if you want to sleep. If you do come here bring noise canceling headphones. I don’t even believe ear plugs would be effective. Other than that. No issues. The indoor pool was not heated. 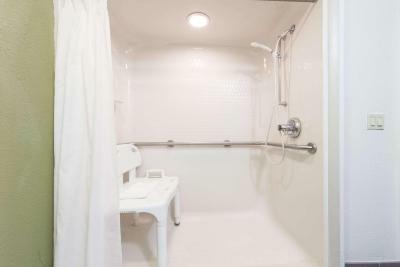 The bathroom was small with just a shower.